Custom Homes Starting from the $600s! 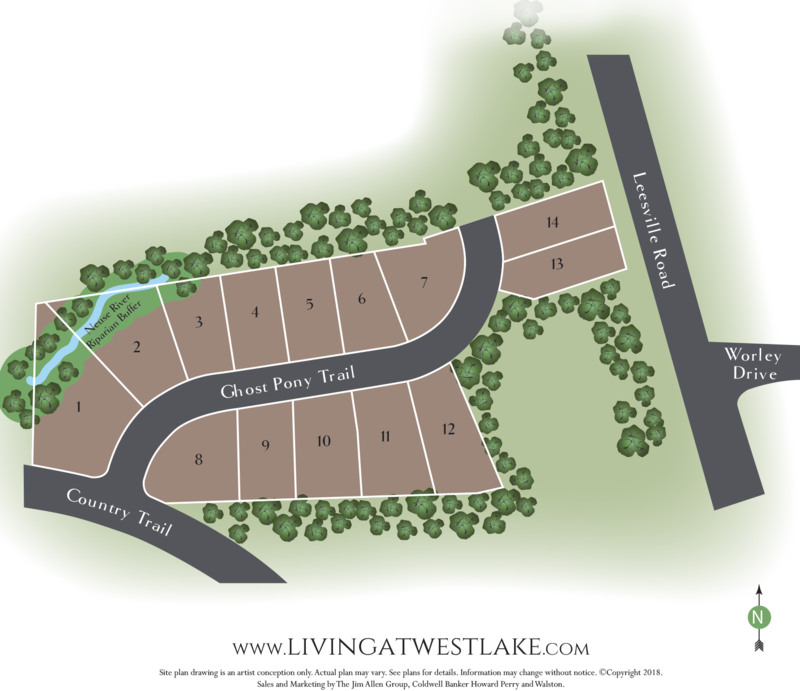 West Lake at Country Trail II is all about location. Nestled in the heart of North Raleigh, this beautiful community is walking distance to Leesville Elementary School, Leesville Middle School and Leesville High School, as well as a public library and the beautiful Leesville Community Park. Shopping or dining more of what you had in mind? Imagine your home just minutes away from North Hills and Crabtree Valley Mall! Hop on Hwy 70 for a straight shot into the beautiful and vibrant Downtown Raleigh and visit the museums, sites, and sounds of North Carolina’s capital city.